Any member of the Christian faithful has a right to obtain a certificate of a sacrament received. Only that person, or the parents of a minor, or a legal guardian have this right. Certificates may also be released to another Catholic Church where the person is receiving a new sacrament. Requests for certificates should be submitted in writing and must bear the signature of the person whose certificate is being requested. 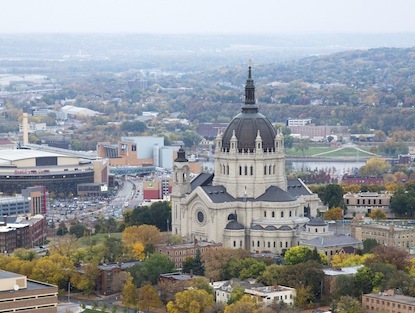 Once a request is processed, the individual requesting a copy of his or her certificate may pick it up in person at the Cathedral Rectory with a valid ID. The certificate may also be mailed directly to the requestor’s home parish. No information from sacramental registers may be provided by telephone. or scan and email to Gail Wood (click here). Requests are processed in the order received. The normal processing time is two weeks. The sacrament of Baptism is normally celebrated for our parishioners on Sundays, after the noon Mass. Parents must attend a preparation class in advance. To register, call Gail Wood at 651.357.1325. To register, or for more information about religious education for children, please call 651.228.1766. You should contact the parish office prior to arranging any of the other details of your wedding. 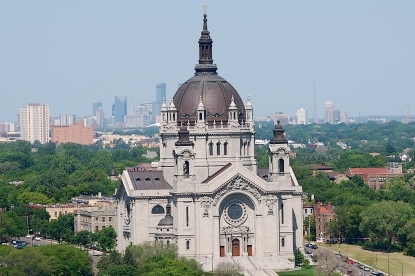 An initial meeting will enable the priest/deacon to outline the requirements of marriage preparation for the Archdiocese of Saint Paul Minneapolis, as well as specific details for weddings at the Cathedral. Only after an initial meeting may a date be reserved for a wedding. This meeting will also allow you to clarify any questions you may have regarding the requirements. 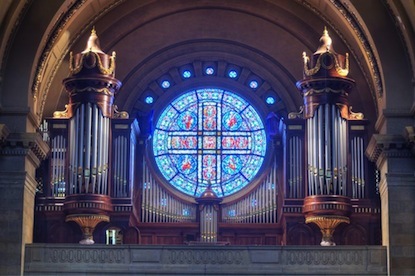 For parishioners who have been registered and actively supporting the parish for a minimum of six (6) months prior to beginning the marriage preparation process, an offering for the use of the Cathedral in the amount of $1,000 (which includes a security person, wedding coordinator, organist, and cantor) will also be required. 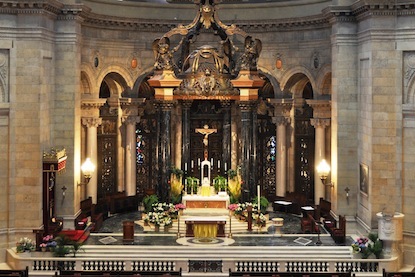 Marriage preparation classes at the Cathedral are free of charge, but couples are expected to attend an Archdiocesan retreat and a Natural Family Planning Course, both of which have a fee. 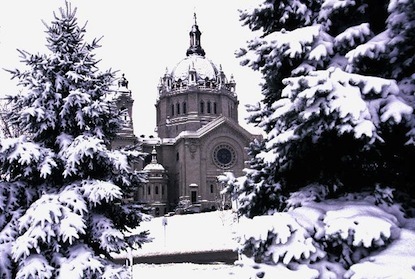 If you know of any parish member or family member who is homebound, hospitalized, and in need of a pastoral care visit and Holy Communion from one of our Cathedral Priests, Deacons or Befrienders, call Gail Wood at 651.357.1325 with the name and contact information of the person. Today’s privacy laws do not permit hospitals to contact churches unless specifically requested. We are made aware of it only when the individual or their friends or family contact us.